Mi Familia is a family photo gallery whose purpose is to reach all the family members that have moved across various states and countries. We were tasked with creating a brand identity and website. The brand was inspired by both separation and togetherness. The logo utilizes a bold typeface that’s tracked close together to represent a bond between members of the family. The dash is a representation of separation since family members are spread out through different countries.. 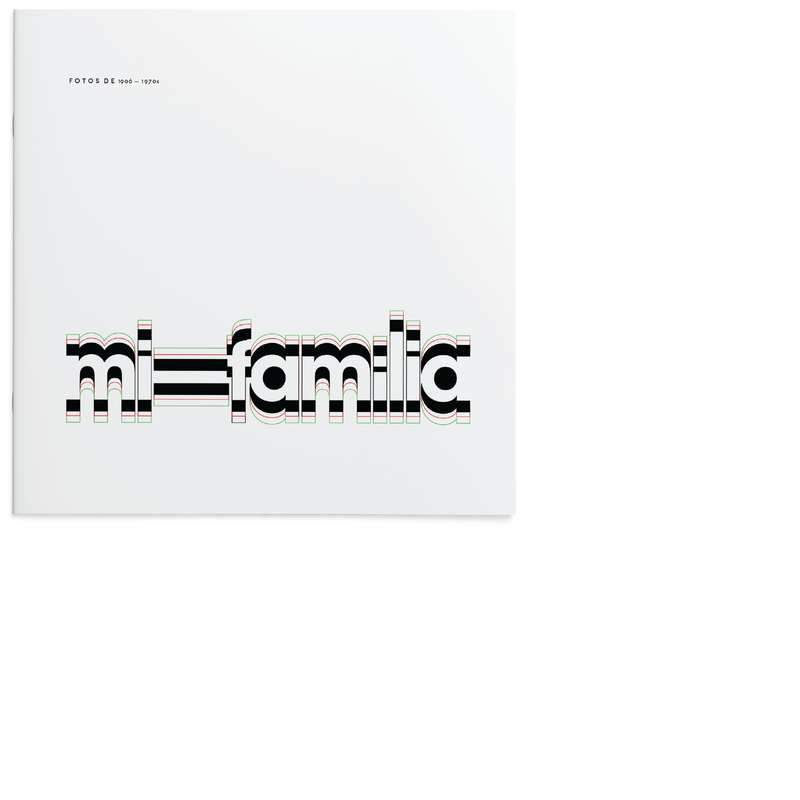 The Mi Familia website was designed without distractions. 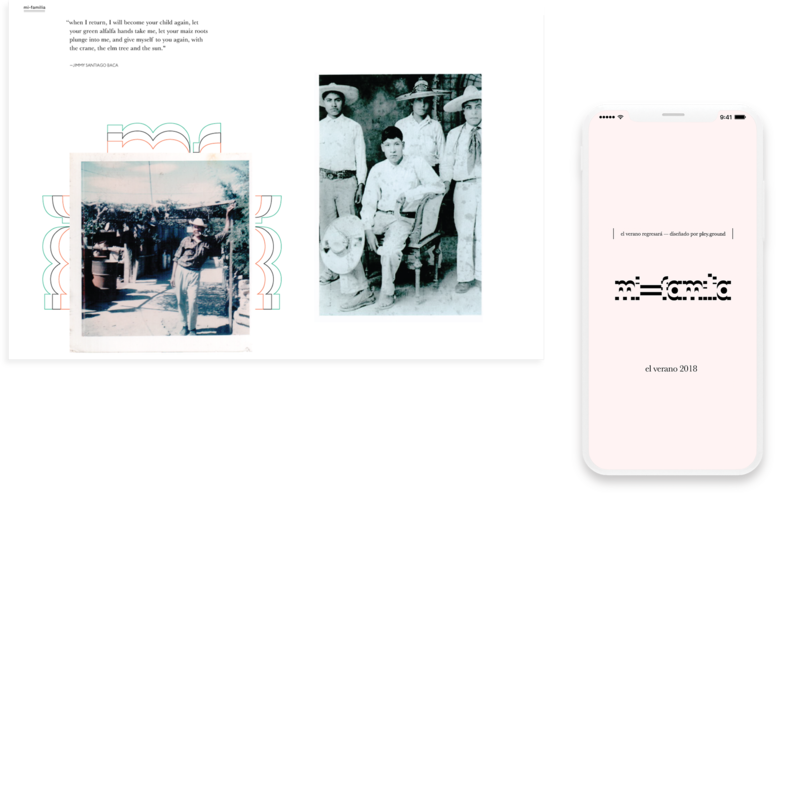 A printed photo album is alluded to with the site’s large images and scattered type throughout its pages. Colors were kept to a minimum to bring the photos to the forefront. 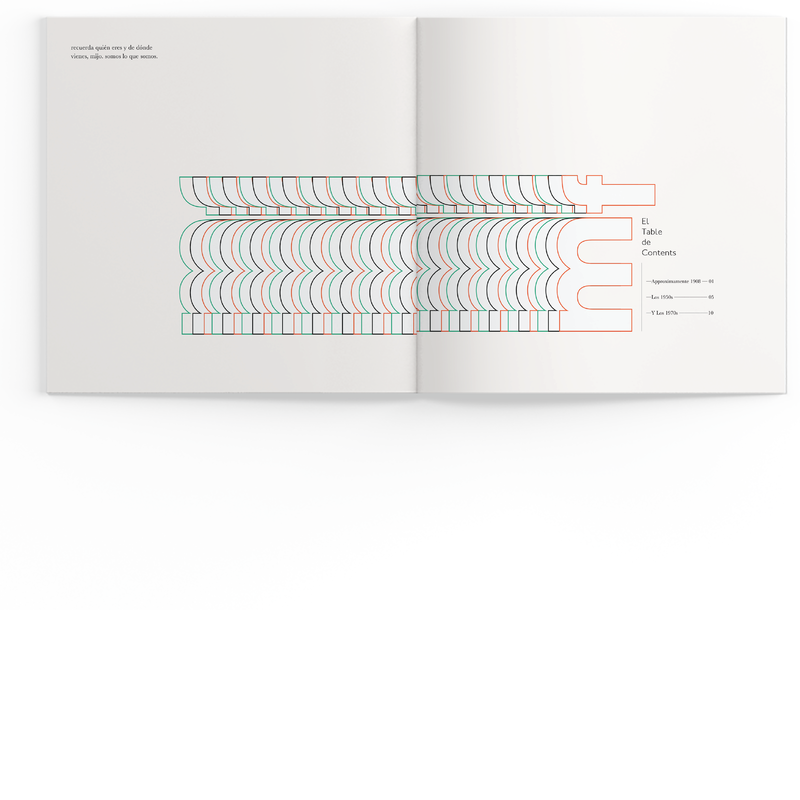 This idea was brought to a printed book that is created and delivered to all; family members during the holiday seasons.